Martha's story is similar to all rescued senior pets' stories. She was loved by someone. She lost someone. She ended up at an open-admission shelter that has to euthanize for space. And because she is 10+ years old, Martha's life was in immediate danger of being cut short, simply because of her age. But Martha's story has a happy ending because Young at Heart was able to take her into our adoption program, saving her life and ensuring that the only life she would know from that moment on "The Good Life." And we were only able to do that because YOU care about senior pets, too! 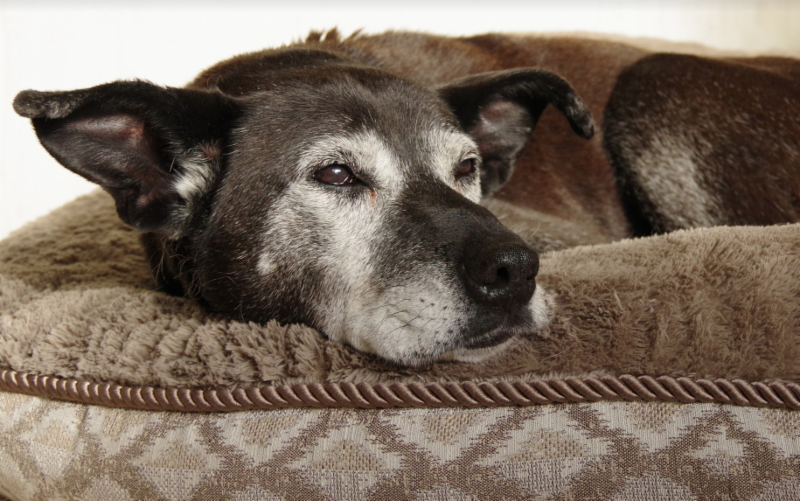 Every senior pet should spend the twilight of their lives surrounded by those who love them until their very last breath. Seniors like 10-year-old Martha have already experienced so much change in their lives after years of being loved and part of a family, that when they arrive to Young at Heart, we do everything in our power to make sure that they are 1) happy 2) comfortable and 3) loved beyond words. And often times the one that ends up costing quite a bit of money is getting them and keeping them comfortable, because that means vet care! Martha came to us with Heartworm disease, which means she was infected by a mosquito that was a carrier for the disease while she was not on a heartworm preventative like Heartgard. X-rays, medication to rid her body of heartworms, and pain medication to keep her comfortable are necessary to ensure she can have as long and as comfortable of a life as she is able. This is in addition to the regular vet care our senior pets receive: vaccines, microchips, deworming, spay/neuter if needed, dental cleanings and extractions, full senior chemistry panel, lumps aspirated or biopsied, and anything else they may need that shows up on their first exam. Often a senior pet that has had little to no medical care prior to coming to us will cost upwards of $1000 to care for prior to being placed for adoption, and this is with steeply discounted veterinary rates. Special needs seniors like Martha will cost far more than that. 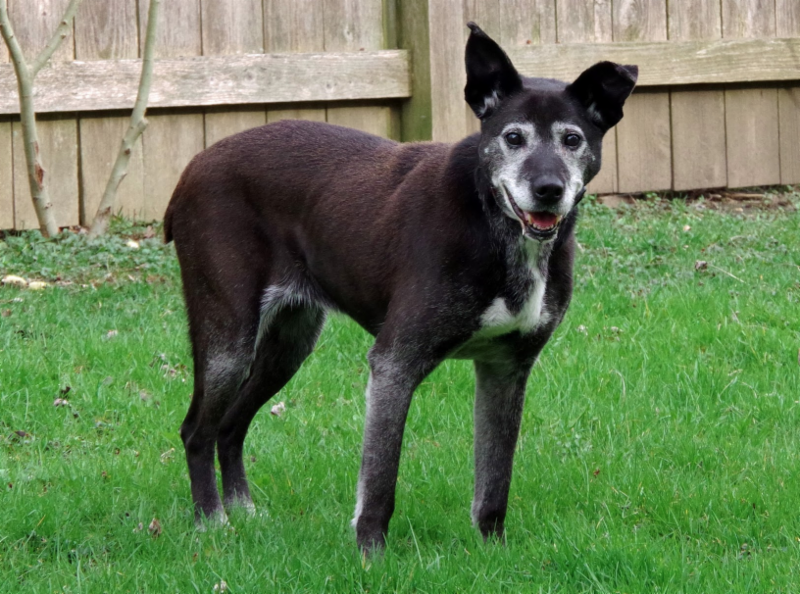 Martha is just one of the 100+ senior dogs and cats Young at Heart rescues and cares for each year, and the Mutt Mosey fundraiser walk on May 21st is our biggest fundraiser of the summer. Our goal is to raise enough funds to fully care for 40 senior pets this year, which means we need to raise at least $40,000. Please join us in raising these much needed funds and ensuring that senior pets that need a safe place to go can come to Young at Heart. 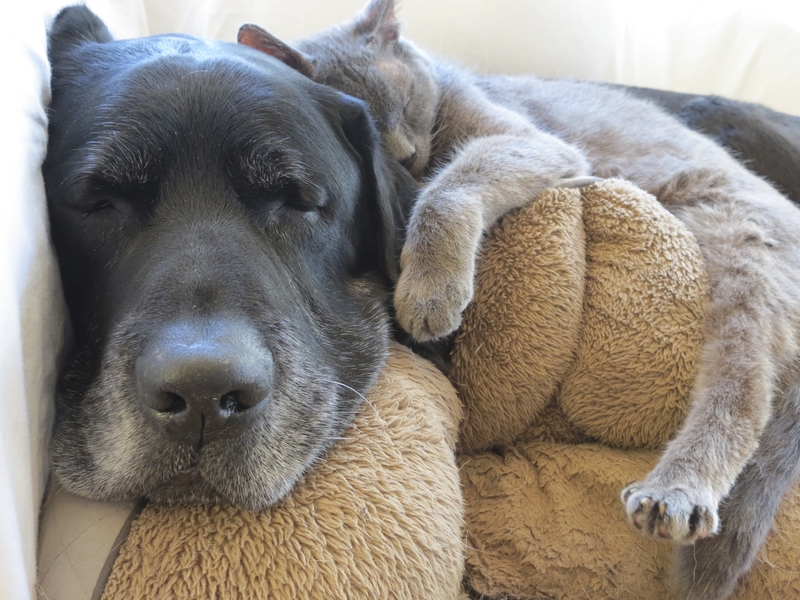 Every dollar makes a difference, and we need YOU to help us save senior pets! Please donate today so that senior pets that end up scared and alone in a cage at animal control somewhere can come to Young at Heart and get the happily ever after they so deserve. From Martha and all the senior pets your donations help, thank you!